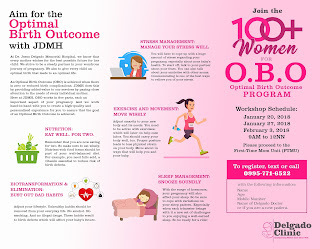 Dr. Jesus Delgado Memorial Hospital, more popularly known as the Delgado Clinic, has been championing mother care for 70 years with a record of more than a hundred thousand babies being delivered to date. 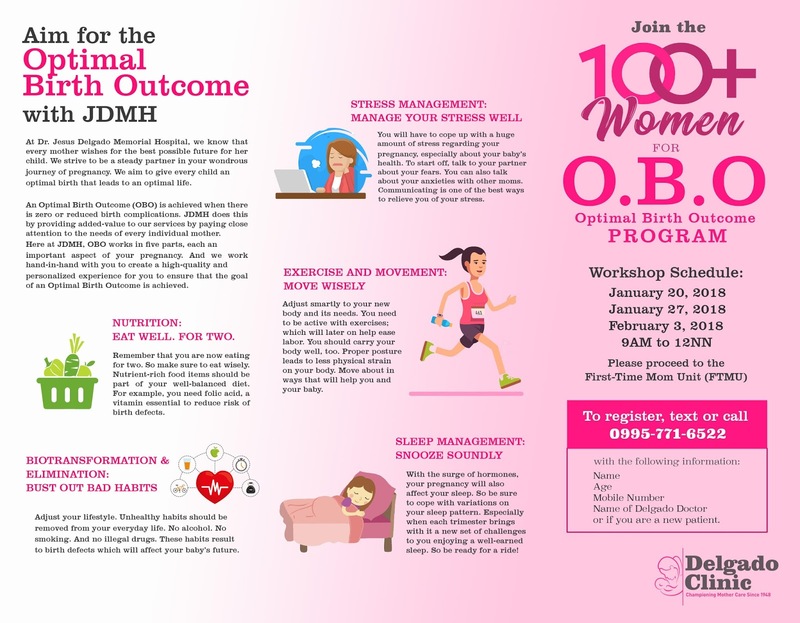 From normal births to high-risk complications, the Delgado Clinic has taken an extra measure of love and personalized care as all mothers do to make sure their child not only lives, but flourishes. 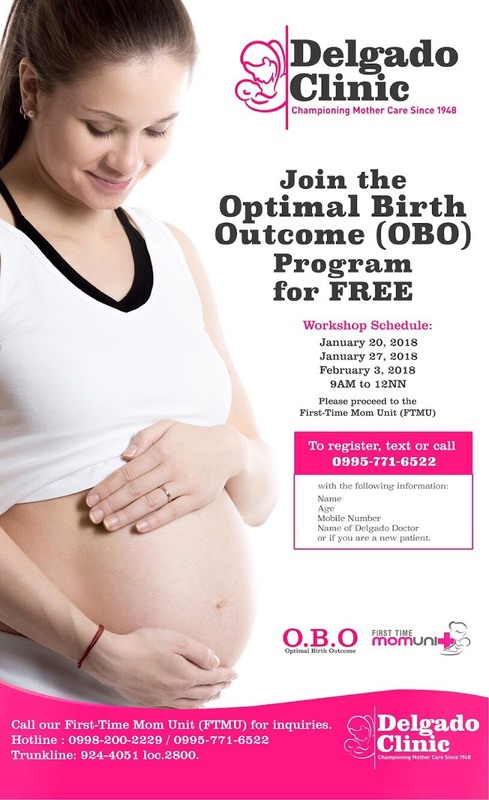 True to its legacy, the Delgado Clinic introduces the Optimal Birth Outcome (OBO) program, a free three-day workshop that serves as the ultimate care, support and education system for moms-to-be designed to minimize or even eliminate congenital defect, premature birth, new-born infections, and other chronic complications for both mothers and children.